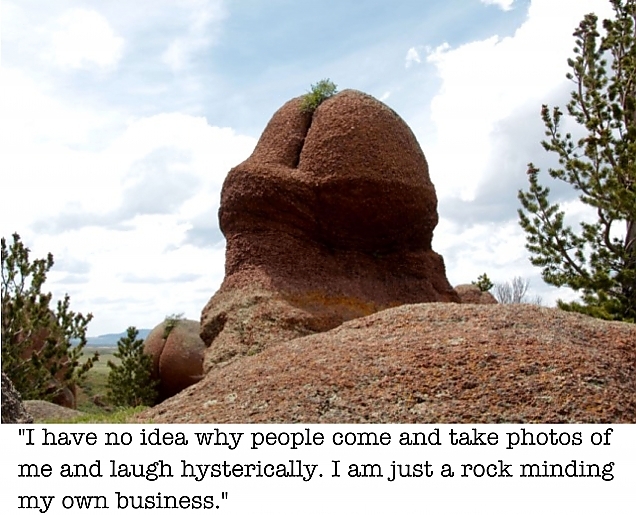 Let me first say that Sand Creek Park and the area surrounding it has some pretty unusual rock formations. The sandstone over centuries has been worn away and some interesting shapes have occurred. This particular landmark everyone seems to know by name. But I will not name it here. It's _____ Point. 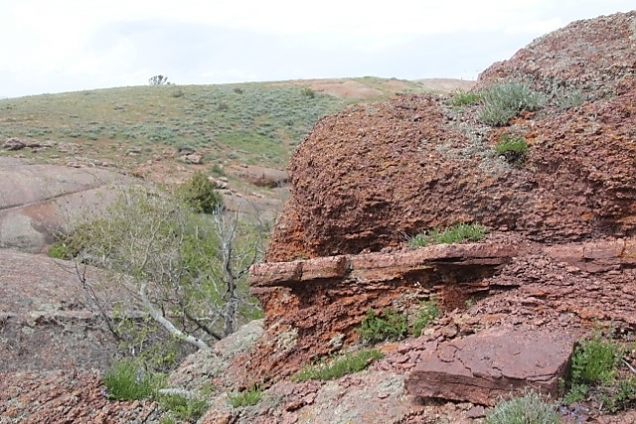 This particular piece of property has some very interesting formations and wonderful views. Many of the rocks feature this strange striation running through them. Some geological event caused this square rock ridge to appear.